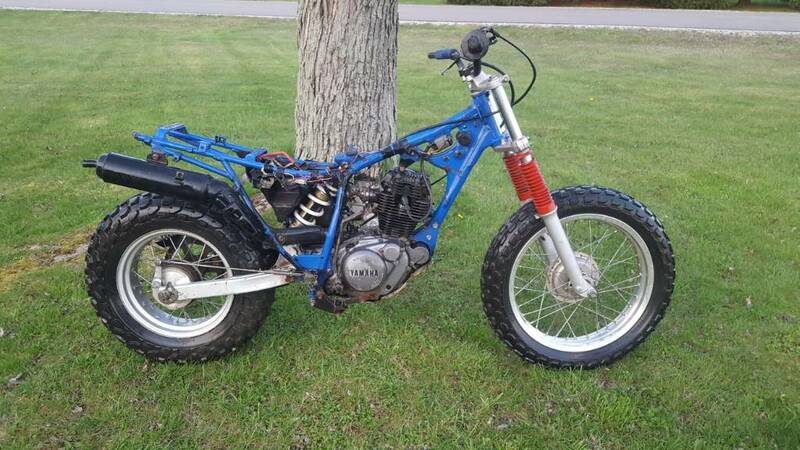 I've long wanted to own a Yamaha tw200, but every time I've found one for sale, people tend to be pretty proud of them and ask what is in my opinion a little bit too much money for a long production run small CC bike. That is until yesterday when my "harmless" daily Facebook Marketplace search turned into a spur of the moment 4 Hour round trip after work to go pick this gem up. 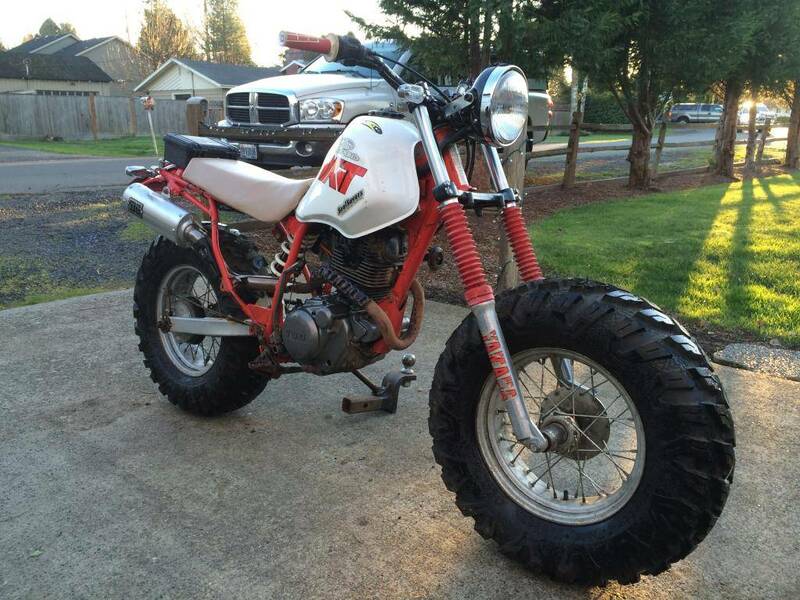 It's a 1988 model that has been robbed of a few parts by the previous owner to keep another tw200 on the road. 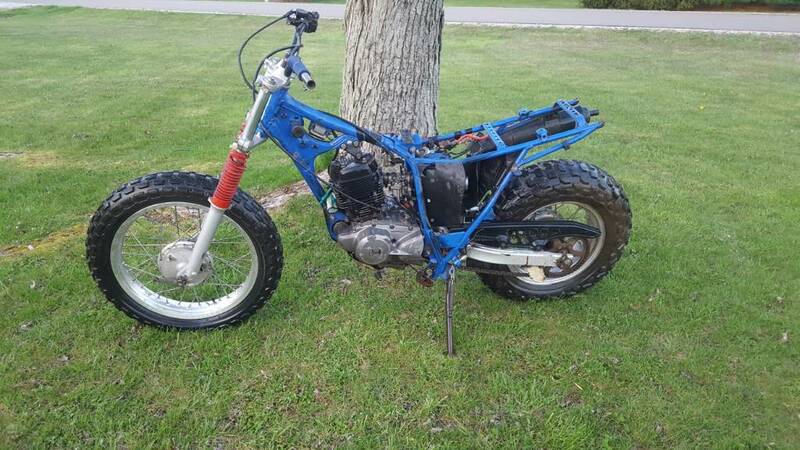 Since it's incomplete, I don't feel too horrible about some minor customization to turn it into a neat and quirky little trail bike. As far as the title goes, it's the same old story. It was in his grandpas name, grandpa died and he cant find the title. I did have him fill out a bill of sale, so I can go the vt route, but at the moment it may get a spare tag thrown on to bop from trail to the next. The plan for the bike is to make it a fun, cheap little ride to take with me Down to Georgia When I visit the in-laws which is usually about 6 times a year. My dr650 is a blast, but after riding Mr. E's meatwad xr200, I realized how much fun a small CC lightweight beater bike can be. I've seen pictures on and off for a few years of this red tw200 around and have always thought it has a neat look with a vintage tank and stripped down Style. At the bones it is kind of my inspiration for this build with the exception of a few things added that will make it more rideable off road including fenders and the stock airbox. I have also kicked around the idea of running another rear wheel out front. 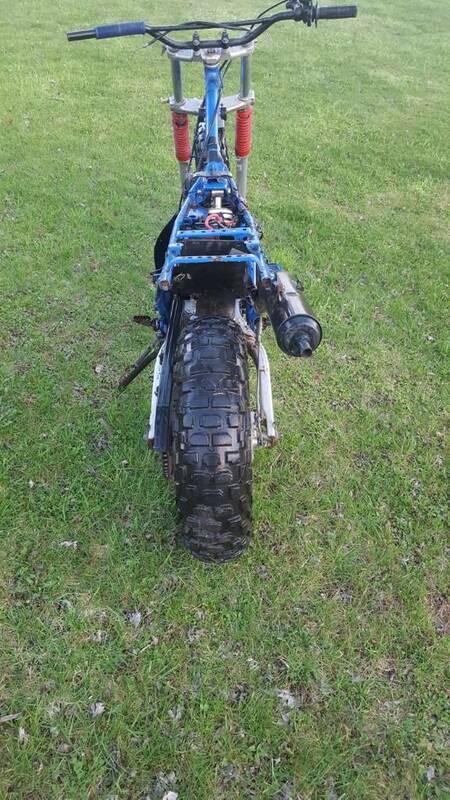 There are a few good forum posts online, and it's a fairly straightforward project which uses BW 200 Forks and triples. I looked it up and found Swamp Donkey on Urban Dictionary. Very colorful description. Ha. Well that definition still fits, but here in the Midwest it's another name for a deer.. This is my buddys...it sees mud and sand and does well. I want it....if I ever get a promotion at work in going to get a new one. Some would say you could be described as a swamp donkey. 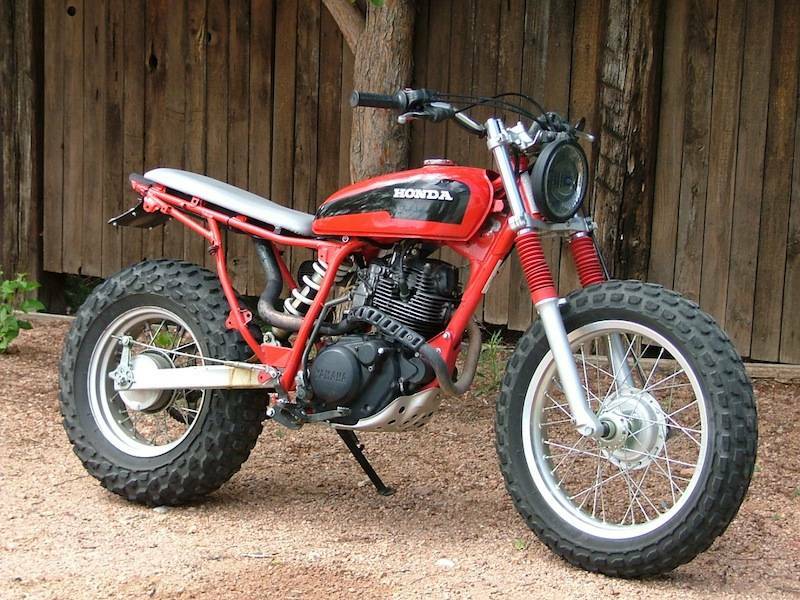 Good get, it’s funny how we are all looking for small cc trail bikes at the same time. Good get, it’s funny how we are all looking for small cc trail bikes at the same time. After seeing how much fun Ephraim has on meatwad, I decided that a lightweight may be more fun than constantly man handling that dr650 off-road (even though it does the job well). There is just something about a cheap, simple beater bike that is appealing to me. Bare bones, no fluff, kinda like taking the original cafe racer ideals and transferring them to a small off-road machine. I love my XL250. No worries all-rounder. That engine looks a lot like the Sr250/xt250 engine. Big bore might be easy. That engine looks a lot like the Sr engine. I always thought about sticking in a BW350 engine in my old SR but they were not sold here. Might be another option. Why I am giving options I don't know.